I figured this was an excellent project for the month Groundhog Day is in! NO, you are not having a metal relapse - I did build a KILLER BODY Toyota BEFORE! Indeed, it was the TOYBOTA that so many of our viewers are familiar with. BUT, That was BEFORE there was a KIT to build under it! BOOM RACING has come to the trail truck game with an all new design - and a blinged out kit for everyone to enjoy! The "scaleness" of this kit is something to take a moment and enjoy - because I HAVE NEVER SEEN AXLES LIKE THIS! They are beautiful. I would have to say hands down.. these are much nicer looking than the RC4WD TF2 Axles - and weigh about Double! They just feel SSSSSOLID! 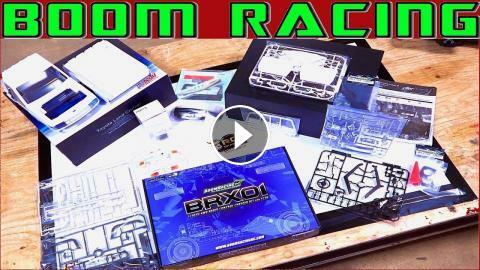 RC ADVENTURES - TOYBOTA PROJECT - PT 1 - BBC TOP GEAR TRiBUTE BUiLD - TOYOTA TRUCK-BOAT! RC ADVENTURES - TOYBOTA PROJECT - PT 2 - BBC TOP GEAR TRiBUTE BUiLD - TOYOTA TRUCK-BOAT!